In August 2018 Søren Normann Hansen was appointed as Administrative Director of The Royal Danish Ballet in Copenhagen, one of world's best renowned ballet companies. From 2015 to 2018, Søren held the position of Managing Director at Sort/Hvid, a Copenhagen based performing arts venue producing and presenting performing arts of various kinds. From 2009 to 2015, Søren worked as a producer at Republique in Copenhagen, producing plays, performances and contemporary circus, with an emphasis on international affairs. Concurrently he managed independent theatre companies Flying Pigs and Fix&Foxy. Previously Søren held positions as Head of Production at Camp X and Kaleidoskop, both in Copenhagen. Søren holds a degree in Production Management from The Danish National Scholl of Performing Arts and has received a Diploma Degree in Management and Organization from Niels Brock Business School. Søren is chairman of the reqruitment panel of The Danish National School of Performing Arts. 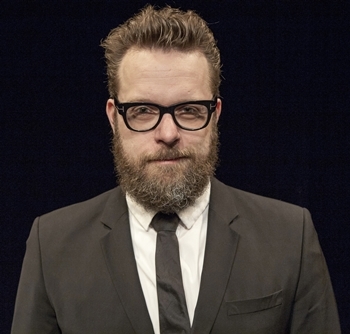 Additionally Søren has a seat on the board of directors of CPH STAGE, an annual performing arts festival in Copenhagen, and The Copenhagen Theatre Collaboration, an umbrella organization for the four largest theatres in Copenhagen. From 2018 to 2020 Søren is participating in a fellowship-program within ISPA - the International Society for the Performing Arts.